68 Enter. 64 Left. One Winner, And it All Starts Now! 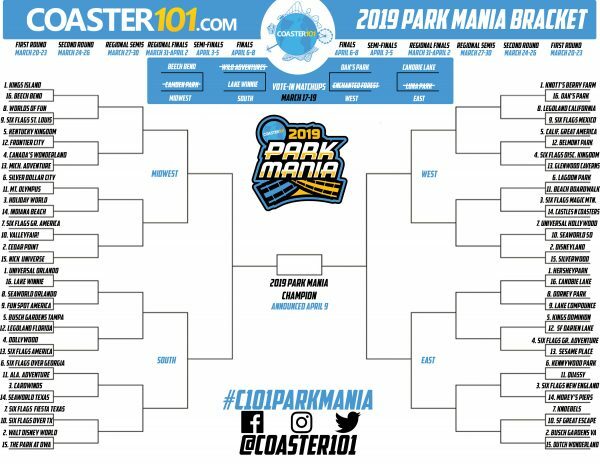 Here at Coaster101, while we love a good bracket pool, we decided to have some fun with the bracket system this year, and bring back our annual event, this year (in an effort not to get a cease and desist letter) called Park Mania! Just like the College Basketball tournament, we’ve included parks from across North America, divided into four 16-team geographic regions; East, West, Midwest and South. We have updated our voting process slightly this year and are closely monitoring spikes in votes. 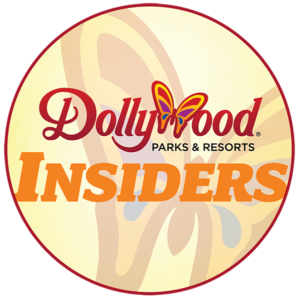 We will not be reporting exact results on social media during this year’s Park Mania, and voting percentages will be hidden this year. While this might feel less “transparent,” there were concerns with fraudulent votes last year. We reserve the right to remove any potentially fraudulent votes from the results, which kind of defeats the purpose of this being fun. Bottom Line: Don’t cheat and ruin this for your favorite park and everyone else legitimately voting for them! Each voting round will take place over several days, and the schedule will be as follows. We’ll create a post each day with new polls for voting. 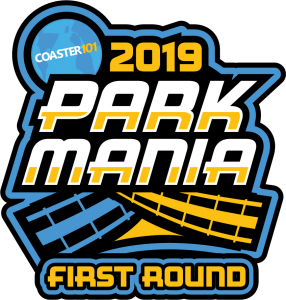 All voting will be done right here on Coaster101.com, and will end at 8:00pm Eastern Time on the specified date. Play-In Game Voting: Sunday, March 17-Tuesday, March 19 RESULTS: CLICK HERE! National Semi-Final Voting: Wednesday, April 3-Friday, April 5. There are 32 first round match-ups, 8 in each geographic region. Record your votes below. Voting will take place Wednesday, March 20-Saturday, March 23, and voting will end at approximately 8:00pm Eastern Time on Saturday night. We’ll post the results on Saturday Night, and Round 2 will begin on Sunday Morning! 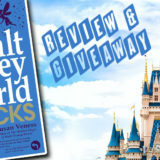 Best of luck to all of the parks! 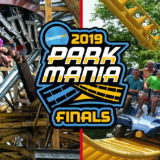 Be sure to use #C101ParkMania to talk about Park Mania on Facebook, Twitter, and Instagram!